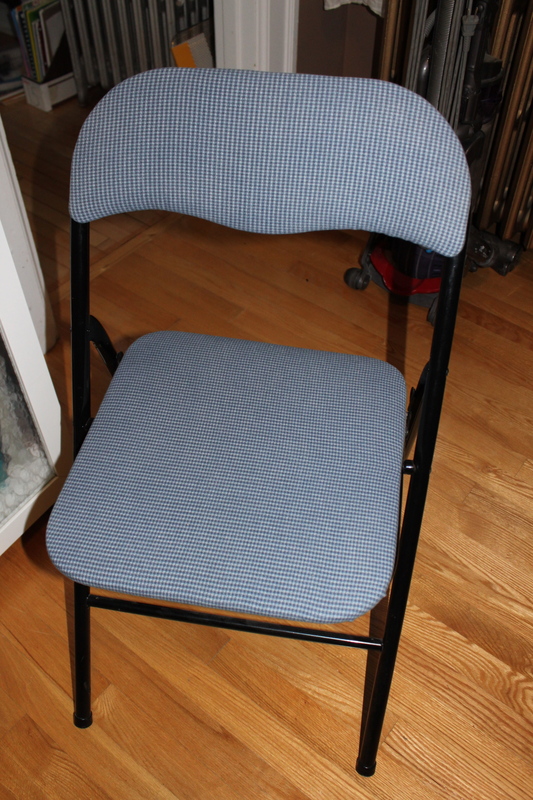 I have had this old folding chair and desk set for years. I can’t remember if it was a freebie or just a really cheap second-hand purchase, but the desk has made its rounds and has served as several different purposes over the years. The chair was in my scrapbooking room, but I hated it and contemplated tossing it due to the large and ugly rip in the back. I actually put duct taped on it. Can you believe it? Anyway, I have been doing my summer purge and was about to toss it when it hit me ~ this would have to be the easiest re-upholstering project ever! I am in the midst of tweaking my son’s room and because the matching desk is currently located in his room, I thought I would fix-up the chair to match. This task was super easy (aside from having to find a staple gun that would load and fire 1/4″ staples) ~ thanks Chris! I had the fabric from a previous project and it is perfect fit for my son’s room. 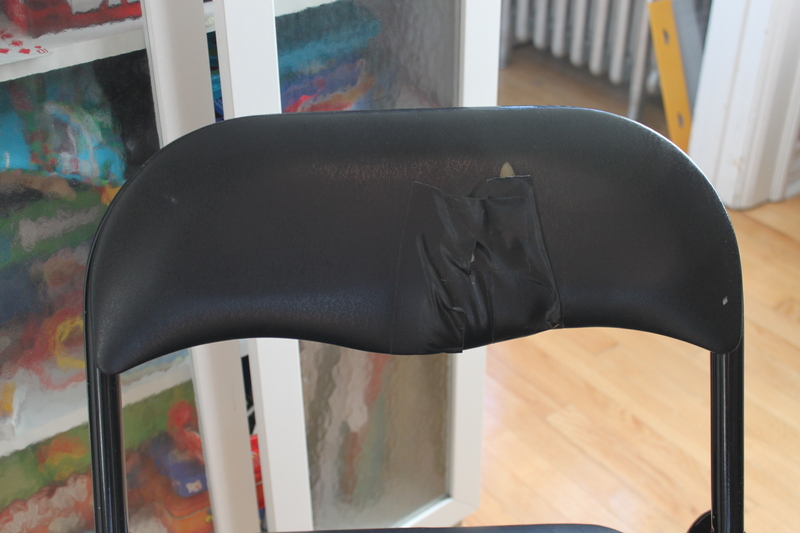 The back and seat of the chair unscrew and I just stapled the new fabric right over top of the old seat. I removed the torn top piece because I knew it wouldn’t sit smoothly otherwise. Check it out! Simple, $0 and looks way better don’t ya think? 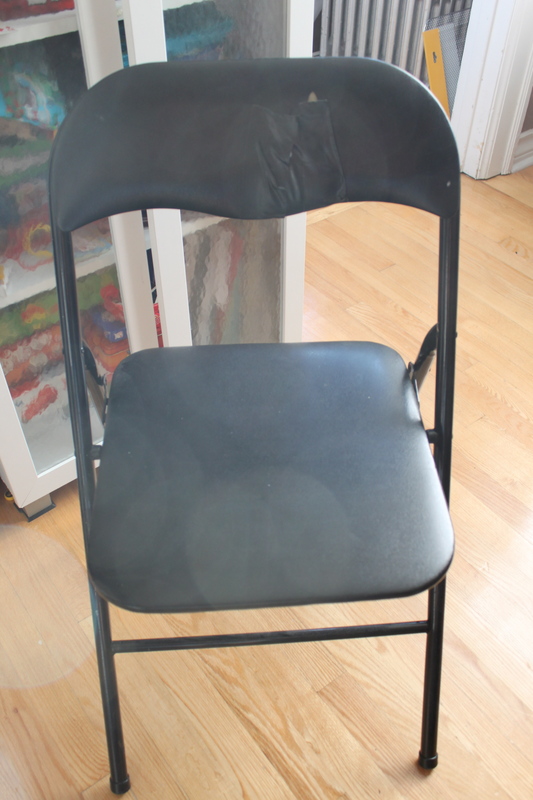 Posted on August 9, 2013 by Cindy Roy •	This entry was posted in DIY and Upcycling and tagged DIY chair make over, folding chair, folding chair make over, upcycled chair. Bookmark the permalink.